St. Luke’s is part of Huronia Cluster Ministry, formed October 1, 2014. Other churches in the cluster are St. Paul’s, Washago, Church of the Good Samaritan, Pt. Stanton, St. George’s, Fairvalley and St. John’s, Matchedash. This congregation has remained an active integral part of the community since its inception in the early 1830s. Worship services were held in private homes. The Price family donated a half acre of land “for the use of a church of the United Church of England and Ireland to be erected on the said parcel of land and for a burial ground in connection therewith and for no other purpose whatsoever.” Four pioneer families donated timber for a church building which was erected on posts eight feet high to allow horses to be sheltered beneath it. This new church became part of the parish of Fairvalley. The present church building, designed to seat 90 worshippers, was built and the former one was converted into the parish hall. This new building was originally covered with shiplap siding. St. Luke’s church and its burial ground were consecrated on June 8 by Bishop Strachan, Diocese of Toronto. Due to the wet ground conditions, the graves were relocated to St. Andrew’s-St. James’ Cemetery, Orillia. 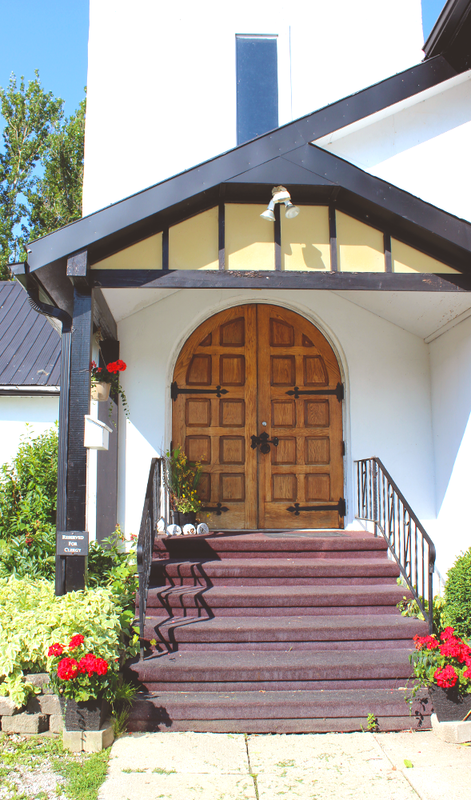 An agreement between four members of the congregation and the board of missions stated that “$80 is to be paid twice a year to the incumbent of St. James’ Anglican Church, Orillia, for services at St. Luke’s.” A motion passed at the first vestry meeting stated that no fee was to be levied for the use of the pews. It was noted in an edition of a local newspaper that services were being well attended and that a collection of $19.51 had been received on a particular Sunday. The parish hall (the original 1851 church) was lowered from its eight foot posts and placed on a concrete foundation. The present church building was moved back from the highway and joined to the parish hall which now also serves as the Sunday school. Members of the Orser family, sixth generation descendants of the Drinkwaters, a founding family of the congregation, continue to attend St. Luke’s. The Reverend Wally Reid, Deacon, served the congregation as its minister for 27 years until his retirement in 1993. He remained a member until his death in 2006. He is appreciated not only for his true friendship but also as the person who persevered through very discouraging times to maintain this small congregation and watch it become the healthy vital church it is today. The unique windows in the nave are constructed of clear glass surrounding four stained glass panels depicting the apostles and St. Cecilia, the patron saint of music and musicians. The decorative kneeler pads, depicting scenes from the psalms were designed and crafted in needlepoint by the ladies of the Women’s Auxiliary (now called the Anglican Church Women). Because the congregation possesses a strong ecumenical spirit, it participates each March in the World Day of Prayer with its neighbouring congregations of Warminster Sacred Heart Roman Catholic Church and Marchmont Baptist Church. 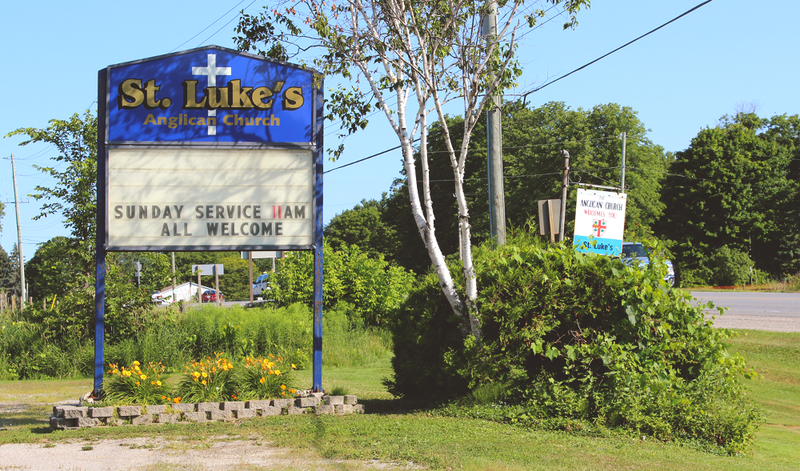 The congregation’s ACW has a strong association with its sister congregation, St. Luke’s in Creemore, Ontario. St. Luke’s remains part of the parish of Washago-Price’s Corners and no longer officially yoked with the parish of Coldwater-Medonte.